Other Products by Herbs Of Gold. 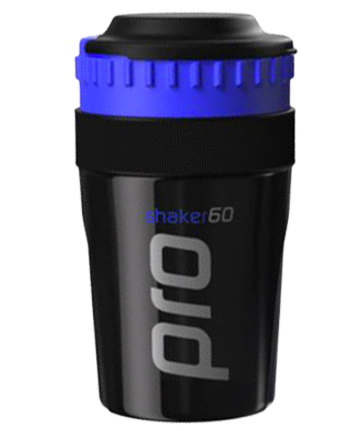 Search other Antioxidant Supplements products. Herbs of Gold Alpha Lipoic 300 contains the antioxidant Lipoic Acid. Though the isomer synthesized by the human body is of the "R" form, many mixed isomer preparations have been used in clinical research, indicating safety and efficacy for both "R" and "S" types. Isomers differ not in chemical composition, but in structure. For example, when we hold our hands up side-by-side, we can see that though each hand has the same amount of fingers and thumbs attached to a palm, they look different, like a mirror image of each other. Lipoic Acid has a broad range of beneficial biological effects. Two of the most scientifically-substantiated uses are for the treatment of insulin resistance or type II diabetes, and for peripheral neuropathy, which is a sometimes painful or numb, burning or tingling sensation in the distal nerves, often associated with diabetes1. Furthermore, Lipoic Acid is one of the nutrients useful for the treatment of insulin resistance2. Insulin resistance is a condition whereby the cells become resistant to the effects of insulin, which is a risk factor for the development of type II diabetes and obesity3. Therefore, Herbs of Gold Alpha Lipoic 300 may also be used during weight loss programs, particularly when associated with blood sugar irregularities. If that's not enough, Herbs of Gold Alpha Lipoic 300 is a powerful antioxidant with the ability to regenerate or recycle other antioxidants, such as vitamin C, vitamin E, COQ10 and glutathione. 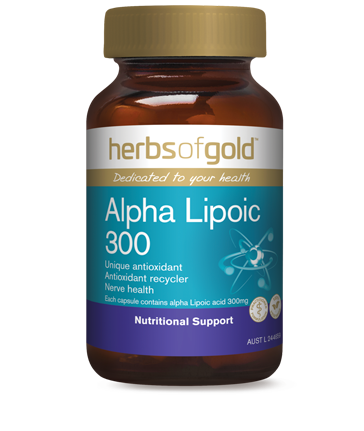 Herbs of Gold Alpha Lipoic 300 really is a fantastic product, useful for a range of different health maladies. This product does not contain added egg, milk, peanut, corn, tree nut or animal products, yeast, gluten, lactose, artificial colourings, flavourings or preservatives.